The larger or larger the ancient structure, the more difficult and often longer the process of the birth of the museum. One of these museums can rightly be considered - the Dormition Cathedral. His five hundred year history, its architectural features, its enormous artistic riches have long attracted the attention of historians. Over the past twenty-five years, the most thorough investigations have been carried out in the cathedral. They pass to the present day, research and restoration work is regularly conducted here. 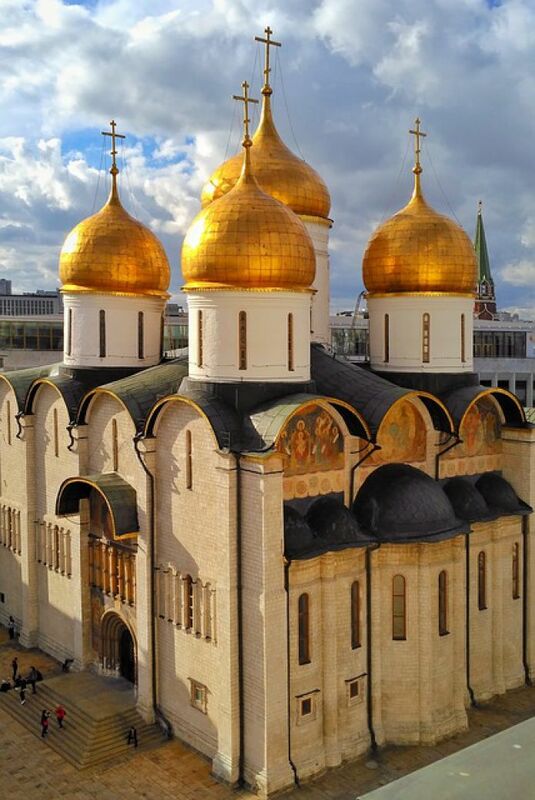 The construction of the Dormition Cathedral is attributed by historians to the 15th century, but among the architectural buildings of the Kremlin that have come down to us, it is most associated with the oldest history of Moscow. The building of the cathedral that we see now is the fifth since the wooden church was erected in this same 12th century wooden city, which is located on the high banks of the Moscow River, merging with Neglinnaya. According to the latest research data from the ancient topography of the Kremlin, it can be seen that the temple was built on a hilltop: it was probably considered the main Moscow temple. Even then, a little to the south, before a sharp descent to the river, the square of the city was located with a belfry, with solemn gatherings taking place on it and, which was typical for that time, the assembly could be convened. Scientists are becoming more and more convinced that the Dormition Cathedral, in ancient Moscow, was assigned the main place in the life of the city. He, apparently, was the patronal church of Moscow, and later the symbol of the Moscow principality. It was from perestroika, the revival of this monument of architecture began, and usually, it was another big construction. 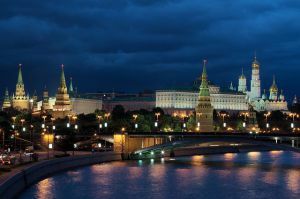 This was the case for two hundred years, when Moscow gradually, step by step, rose above the rest of the Russian cities and grew into the center of the unification of national forces. At the dawn of the 13th century, due to the creation of the Moscow principality in North-Eastern Russia instead of the ancient wooden church, the first white-stone church was built in Moscow. In the 14th century, when Moscow princes received the title of Grand Duke of Vladimir, a large stone construction was launched, initiated by the Dormition Church. The old one was dismantled, and in its place a new white-stone soon rose. Finally, in the fifties of the next 15th century, Ivan III, the founder of the Russian centralized state, proceeded to a grandiose reconstruction of the capital, ordering the church to be dismantled and a new Dormition Cathedral built. 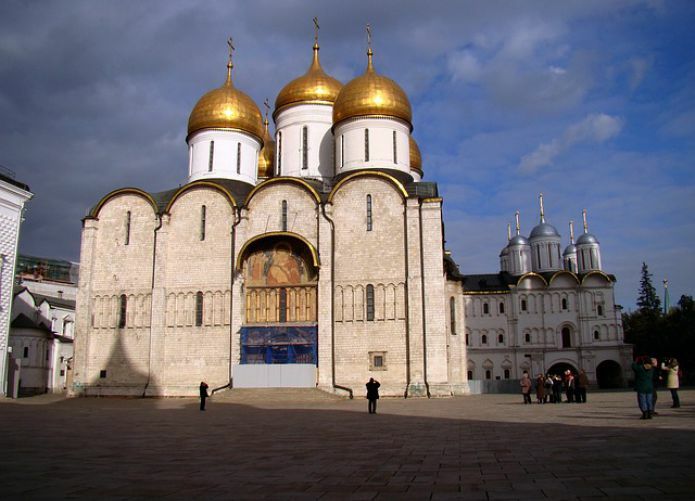 The construction of the Dormition Cathedral in the 15th century attached great importance. What the ancient chronicles tell in detail. In terms of its size, it had to surpass the Vladimir Dormition Cathedral, which, when building a 15th-century Moscow church, was taken as a model. However, the first attempt of the Russian builders was unsuccessful: the already almost completed grandiose cathedral suddenly collapsed. Then, to achieve the cherished dream, Ivan III appeals to the architects of Italy, while they were the most experienced architects in Europe. Visiting Moscow in the 75th year of the 15th century, the Bolognese architect Aristotle Fioravanti built on the site of a collapsed cathedral, a modern building that reached the present, which played a crucial role in the future development of Russian architecture. Works of art in the Dormition Cathedral were able to convey to our time the richest thinking of the artists of that time. Ticket offices: Moscow, Alexander Garden.